2120 Montreat Way #2130, Vestavia Hills, AL.| MLS# 836897 | Richard Jacks UABLIVING.com 205-910-2297 | Birmingham AL Real Estate | Contact us to request more information about our Homes for Sale in the Birmingham AL area. 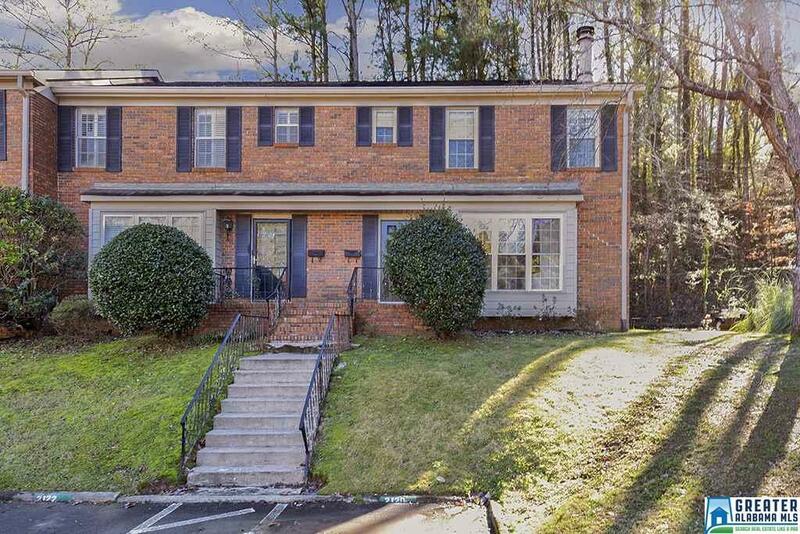 This full brick end unit condo is located in the sought after Vestavia community. Large living room with a wood burning fireplace that is accented with built in book shelves makes this home feel just like home. The large bay window allows a ton of natural light. Hardwood floors that flow throughout the main level. The kitchen has tons of storage along with a pantry and a very spacious eating area. French doors open off of the eating area onto a back deck for the perfect access to continue to entertain your guests. Main level laundry and a half bath for convenience. Upstairs you will find the large master suite with new laminate flooring, master bath with ceramic tile and a walk in closet. Across the hall you will find a 2nd bedroom with full bath and walk in closet as well. These rooms are over sized and are truly 2 master suites. Come fall in love with this home today!